This entry was posted in Food Glorious Food and tagged afternoon tea, almonds, birthday cake, cake, easy, gluten free, lemon, ricotta by cityhippyfarmgirl. Bookmark the permalink. Oh, beautiful Brydie and happy birthday to Granny. she did thanks Johanna. I do love adding flowers, actually I’m a bit addicted to it at the moment. I think I might just do that … Thanks for sharing. Excellent Rose. Well I hope you make it and I hope she likes it. Accompanying tea to go with it is compulsory! 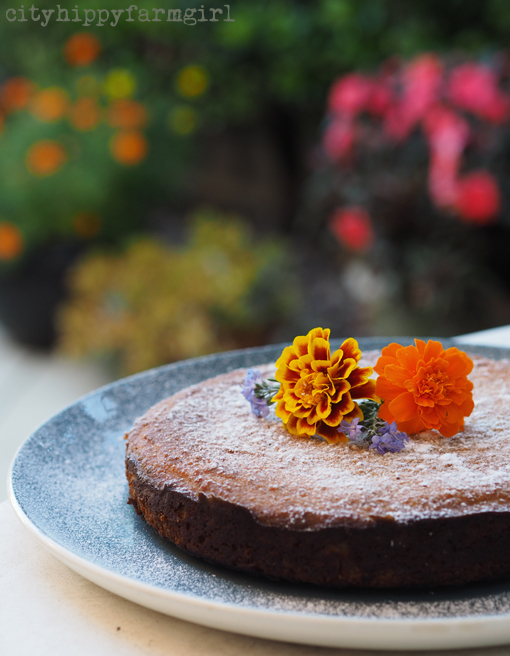 I have been known to have cake as a meal on occasion…looks delicious Brydie! That’s a totally sound and healthy breakfast in my books! Looks delish! 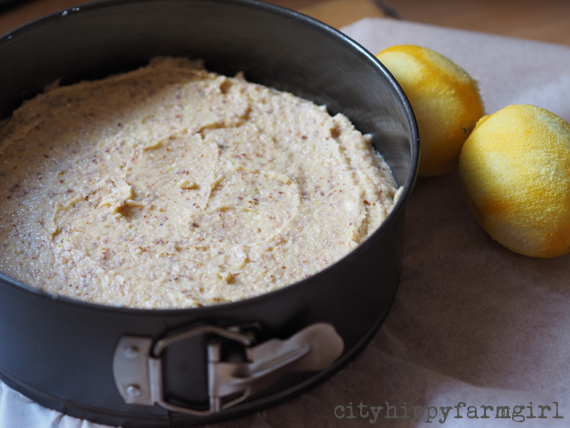 I say cake for breakfast is a good idea, especially when it’s lemon, ricotta & almond. Oh damn CL. Push ups eh? Right, I’m on it… Push ups and cake surely? Excellent cake and beautifully decorated. I’d love a slice, the texture sounds like it must be fantastic. This looks so good! 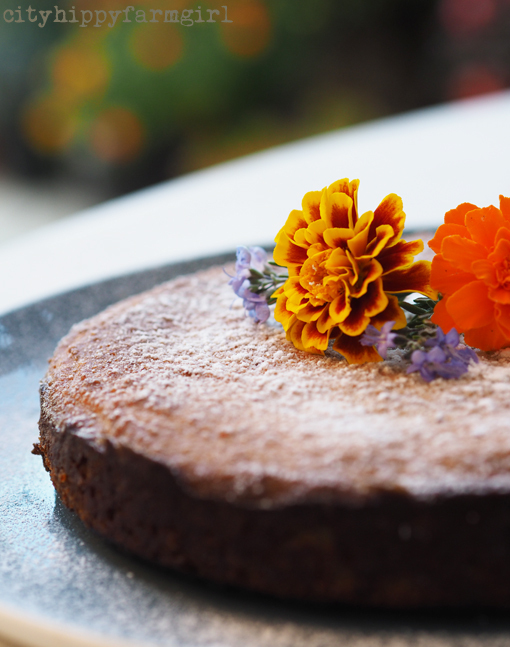 Seems light yet flavorful- perfect breakfast cake, though I’d probably eat it any time. Have gone with a 9 inch diameter tin – will let you know how it comes out! Sorry Joanna! Yep, nine inch sounds about right. How did it turn out?